We have always tried to represent the world around us. We started with charcoal drawings in prehistoric caves, then mastered the art of painting, and more recently developed advanced photography and videography techniques. But everything around us is in 3D, so why would we stop here? 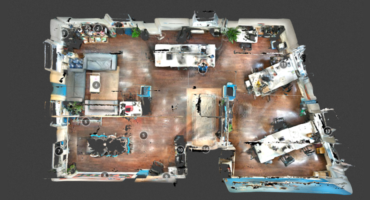 3D capture – just like 3D printing – has been around for a long time, but has required advanced equipment and skills, limiting its usage to professionals. This is about to change. The opportunity to capture our world in 3D is huge, and many talented developers have been working on such technologies: just look at the number of (hugely successful) fundraising campaigns for 3D scanning devices over the past couple of years: Structure Sensor, Fuel 3D, CadScan, Volumental and Lynx A. Other software or applications like Trnio, 123D catch, PhotoScan and Memento offer amazing ways to make 3D scans with photogrammetry. Intel is about to bring this ecosystem one step further. They have been working hard to make laser scanning technology small enough to fit in your smartphones, laptops and tablets, with the goal to “add human-like senses to computing devices”. Intel’s RealSense will bring depth sensors to any device. Computers will now be able to see in 3D as we do, and developers have started leveraging this technology with all kinds of applications. It means you’ll not only be able to make 3D captures in real-time, but also use gestures to interact with your devices and the content they display. 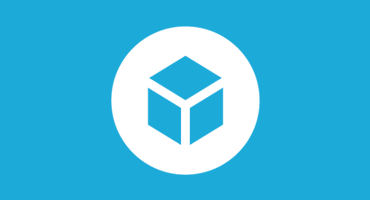 We are excited to announce our partnership with Intel, which integrates our API in the Intel RealSense SDK. “We believe we are on the cusp of a digital revolution with the ability to scan real people, objects and places, and integrate them into our digital worlds,” said Mark Yahiro, Managing Director, New Business Perceptual Computing, at Intel. 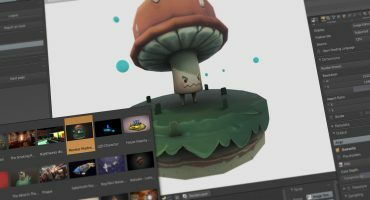 “By making Sketchfab’s API available as part of the Intel RealSense SDK, developers can easily integrate any scanned object into their application and share it on their favorite social platforms like Facebook, as well as other digital spaces such as blogs and websites.” You already share your favorite pictures with your friends on social media. Now you’ll be able to share your 3D scans too. This partnership is perfectly aligned with our vision to build the place to be for 3D. Bringing 3D scanning to the hands of consumers will undoubtedly speed up the process. Time to catch the wave of this new media!